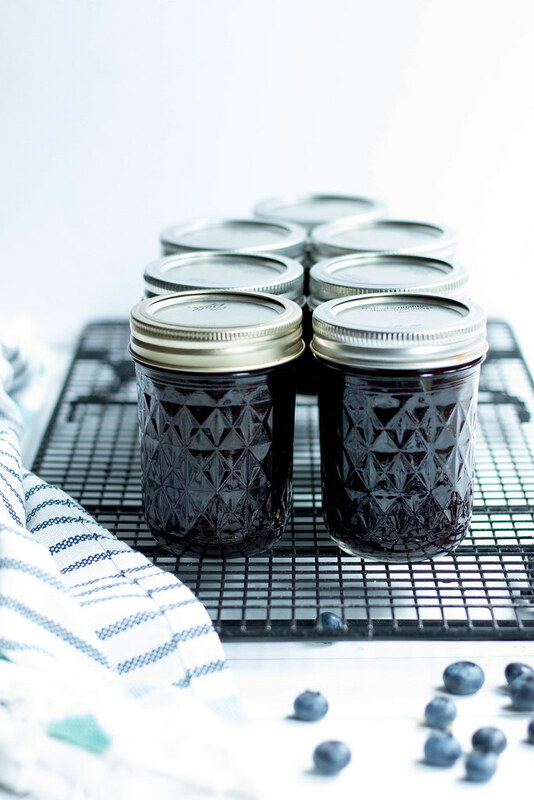 Making your own jam is super simple - I prefer the no pectin method, the final jam is more natural in texture with bits of whole fruit in the jam. 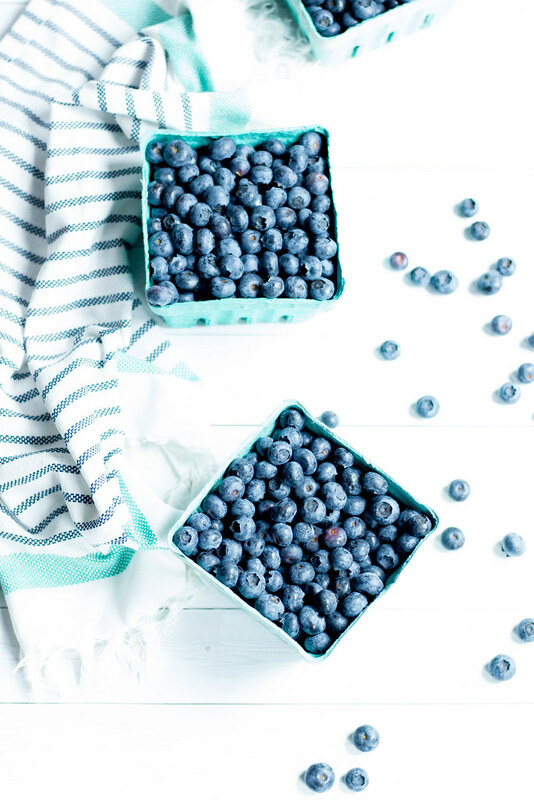 Just 3 simple ingredients - blueberries, lemon + sugar. 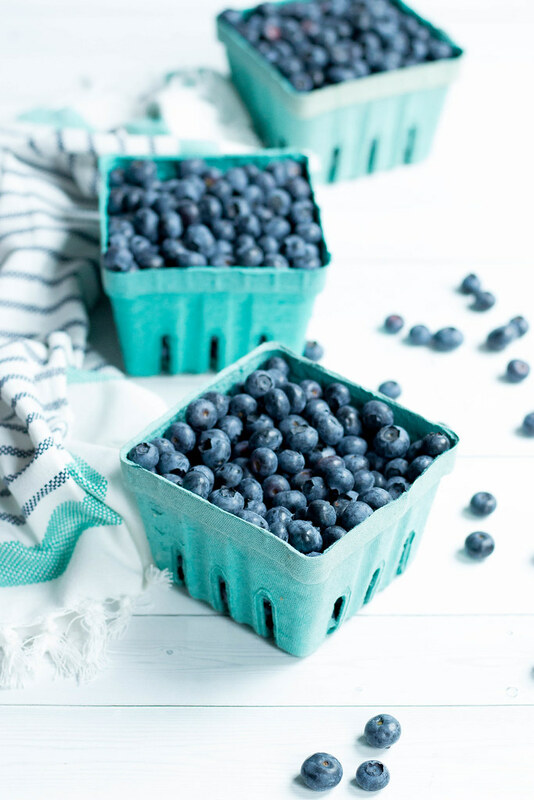 There is such a short window of time to enjoy fruits and veggies at their peak - canning + preserving is the perfect way to enjoy the taste of seasons gone by whenever you get the urge for summer blueberries or late august tomatoes. I've made jam with many different styles of sugar // granulated sugar, coconut sugar and this last batch was made with Sucanat Cane Sugar from NOW Real Food. Each sugar transforms the jam in a different way. Granulated Sugar brings out the pureness of the fruit, a cleaner tasting jam so to speak. The Coconut Sugar creates caramel undertones throughout the jams which is my absolute favorite sugar to use when making peach jam. 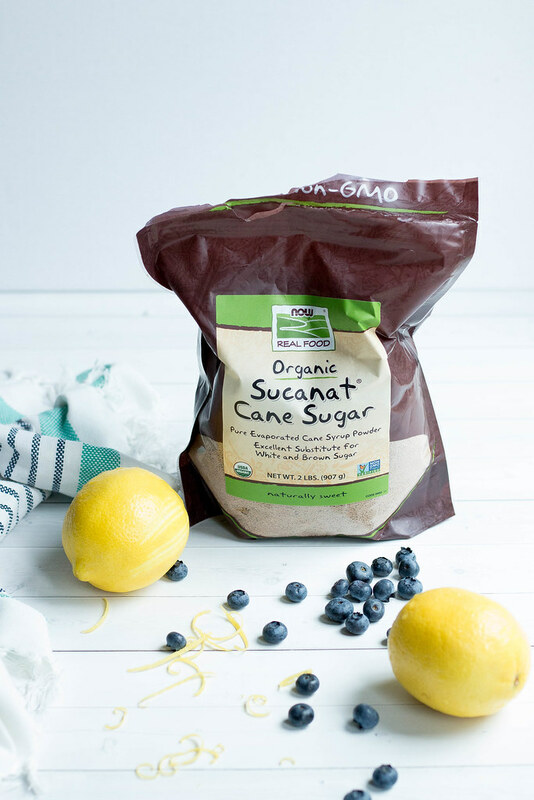 Sucanat Sugar lends slight caramel undertones with that clean taste- it is a cross between granulated and coconut sugar. The hardest part of making a batch of jam is stirring the pot continuously for 25 - 30 minutes // just throw on some tunes and get to stirring. You will want to cook it until it reduces to about half the amount as to when you began. 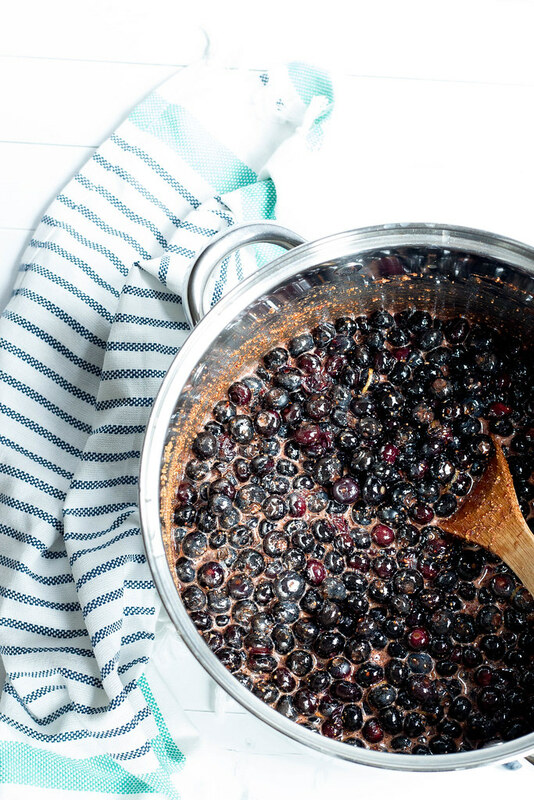 Using a large stock pot add blueberries, sugar, lemon juice & lemon zest to the pan and mix. Bring berry mixture to a boil and stir continuously (think stirring like risotto stirring) for about 25-30 minutes, keep at a low boil throughout the entire cooking process. The mixture should reduce to about half of what you started with. 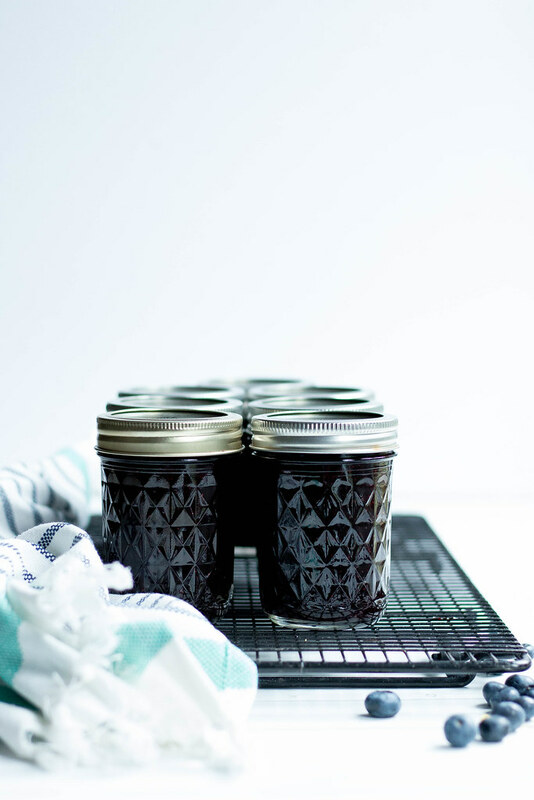 In order to see if your jam has reached the "gel" stage, toss a small plate in the freezer, when you are ready to test the jam, pour a small amount (teaspoon size) onto the plate and place back into the freezer for 1 minute. Take back out and run your finger down the center, if the jam crinkles it is ready, if not cook for five minutes and test again. Once your jam is ready ladle / spoon into sterilized jars leaving about a 1/4 - 1/2 inch of head space (space between the top of jar and jam). Cover with lids and bands and process in a water bath (boiling water) for 10 - 15 minutes, letting the jars rest in the hot water for an additional 5 minutes after processing. Remove jars from the water bath and let sit on counter to cool and set- check jars after about 20-30 minutes to ensure they have processed. To check the seal push down on the top of the lid, if there is no give or popping sound it worked! If there is give and the center clicks when you push down you must store the jam in the fridge (only the ones that did not process). Sometimes it takes jars a bit of time to seal, you can also place them upside down to help the sealing process. Store in a cool dark place until ready to enjoy all winter long! *To sterilize the jars, bands & lids, after washing with warm soapy water place the lids and bands in a small pot of boiling water, turn down to a low simmer until you are ready to use. In a separate canning pot add the washed jars to the boiling water ensuring each jar is submerged in the water and bring to a boil. Keep at a low simmer until ready to use. Alternately you can run the jars and lids through the sanitation / sterilization mode of your dishwasher. Blueberry jam is my FAVORITE! It's so sweet and delicious! The lemon peel helps the jam set (it is a natural pectin) and the lemon juice adds a nit of acid which is important when you are canning for preserving on the shelf over the winter. It is a small amount and does not affect the sweetness of the Jam at all. You definitely should try the coocnut sugar, it is one of my favorites! YUM! Making this right now with a couple tablespoons of fresh, chopped basil and a teaspoon of cinnamon :) Thank you so much! oooo I love the idea of adding basil! 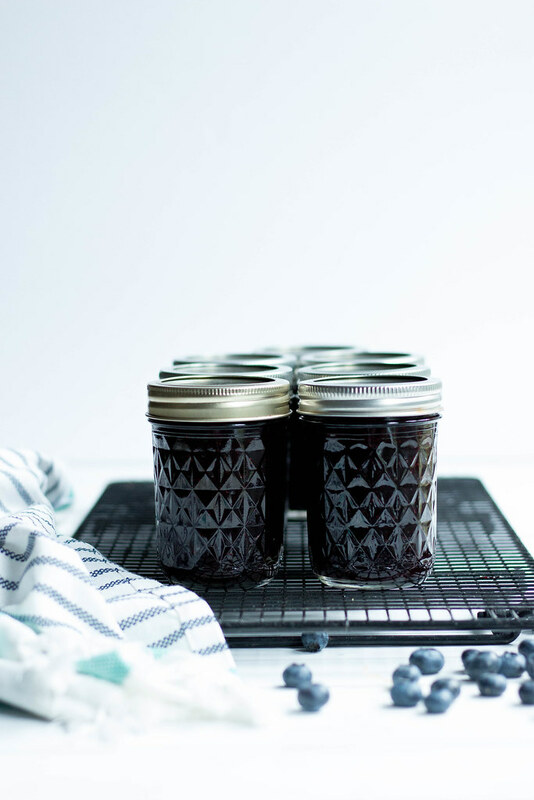 Such a healthy and delicious blueberry jam recipe. This will certainly go handy with my cheese cakes. I'll personally write my own review regarding this recipe and post it via www.procustomwriting.com. I have never eaten banana cakes but I have done a lot of research on extending the shelf life of ripe bananas and processing was emerged as the best method of preserving the banana. This article has also added a new method of using the flour obtained from the bananas. I will recommend the banana pancakes to my friends who offer Genuine Personal Statement Help. Thanks for sharing an amazing post.. Ya Allah! Wannan babban labarin ne. Na gode da raba!